I have just been talking to an old client of mine about a property for sale in Marseillan that he is currently doing up. The last two properties that he has sold have been fantastic so I'm very excited about having another one for sale soon. Especially as this one is only 500m from the port with it's fabulous selection of waterside restaurants. Coeur du village in a narrow street - can unload by car, but not park. 25m2 per floor - kept as many original features as could. Stairs do not intrude in on the rooms - first and second floor rooms go off the staircase. Single storey buildings on each side. Ktichen, dining, living area - high ceiling. 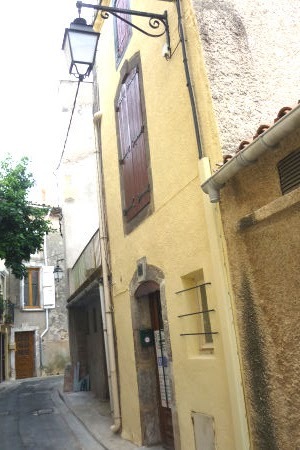 Watch this space for more updates on this property for sale in Marseillan which will be coming onto the market in the new year. I have just been to see a wonderful property for sale in Marseillan which sits only 100m from the water and 170m from the port itself with it's collection of restaurants overlooking the water. The pretty village of Marseillan also has it's own little beach on the Etang de Thau which is only 400m from this property. The property itself is a very cleverly converted barn providing approx 250 sqm of living space over three floors, with courtyrad garden, two levels of terraces and a double garage. This stunning property will be coming to market at the beginning of January and should prove to be a hit. Marseillan, close to the water is a very sought after location and this property will not disappoint. Best value Languedoc property for sale in 2011 !!! This just has to be the best value Languedoc property for sale in 2011 !!! This 3 bedroom detached villa sits atop the sought after village of Castelnau de Guers, only moments outside Pezenas and has the most fantastic views. Follow this link to see more photos of this amazing Languedoc property for sale but be warned..........This will not be around for much longer !! !